Manchester City had to twice come from behind before the holders won at Sunderland, while Arsenal and Everton both went through with five-goal winning margins. 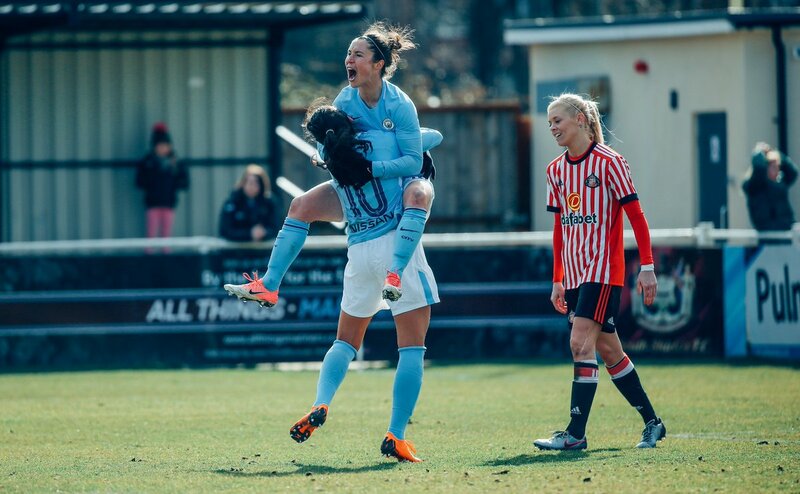 Manchester City will meet Chelsea in the semi-finals of the SSE Women’s FA Cup next month, after they scored late on to force extra-time, before going on to win 4-2 at Sunderland. 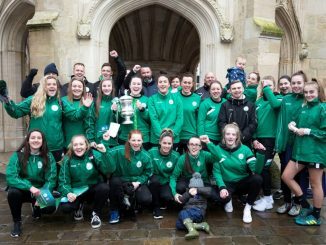 The Black Cats made it hard for the holders though, twice taking the lead, firstly when Lucy Staniforth’s free-kick was flicked on by Hayley Sharp and fell for Victoria Williams to poke under Ellie Roebuck from close range. Claire Emslie rattled the hosts’ crossbar before the equaliser arrived on 72 minutes, as Demi Stokes headed in Nadia Nadim’s cut-back. Just four minutes later, Staniforth unleashed a rocket into the top corner from distance to restore the advantage but Jane Ross levelled with only seconds remaining. In the added half-hour, Ella Toone set up Ross to score her second then sealed victory with a goal of her own. 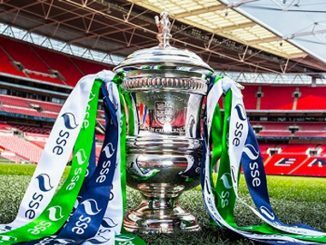 Arsenal eliminated the last FA WPL side left in the competition by five goals to nil but there was just one in it at half-time. The match was only 4 minutes old when a penalty was awarded, which Kim Little converted. Danielle van de Donk struck the Addicks’ crossbar before O’Reilly got through on goal to slam home from close range on 56 minutes. With her first touch, Vivianne Miedema sent a bullet header past Katie Startup and into the net for 3-0. 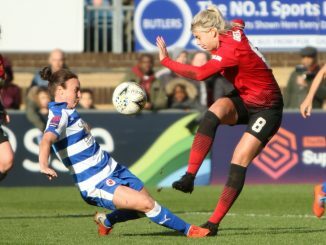 Miedema then hit the bar, before Danielle Carter turned home Lisa Evans’ cross from close range and Jordan Nobbs completed the scoring with a strike from outside the box. Everton set up a semi-final with Arsenal on 15th April after their 6-1 success away to lower-division Durham. Durham’s Zoe Ness saw her shot turned over the bar by Kirstie Levellm before the Toffees Courtney Sweetman-Kirk scored on 15 minutes, following up Olivia Chance’s strike whiach was parried by Helen Alderson. From a Dan Turner run and cross it was 2-0, Chance on hand to stroke home the loose ball. Durham hit the post after the break but Sweetman-Kirk got the visitors’ third with a header from Chloe Kelly’s cross. 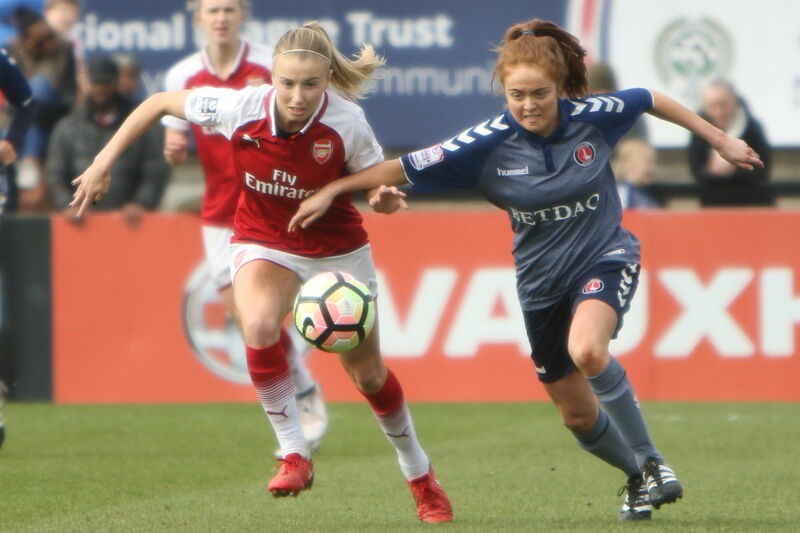 Georgia Brougham cleared off the Everton line but Turner then sprinted clear to fire home the fourth. Sweetman-Kirk completed her hat-trick from a Kelly through ball and Sarah Robson replied for the Wildcats, with Jodie Brett heading in from a Turner delivery.